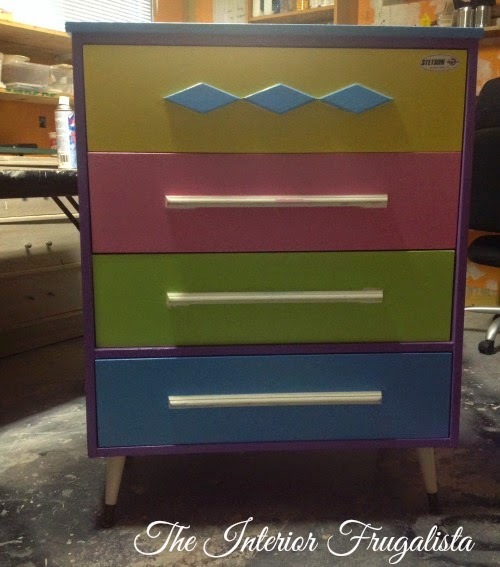 My son's girlfriend asked me if I'd give her colorfully painted childhood mid-century modern dresser a makeover. She painted it when she was 16 (and did a fine job I might add) but it was time to give it a big girl look for their new home. 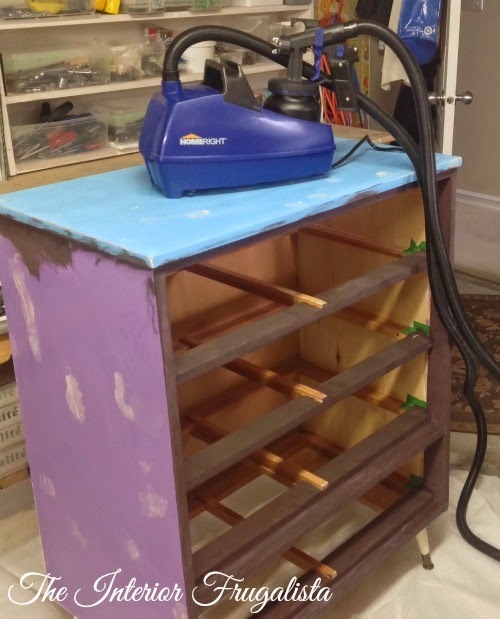 A short time before starting the makeover I got a Finish Max Pro Paint Sprayer and knew this dresser would be a perfect project to try out the sprayer. Oh gosh, I am genuinely in love with this machine! Sanding to the bare wood was not an option but I wanted to achieve a stained wood patina on the exterior. 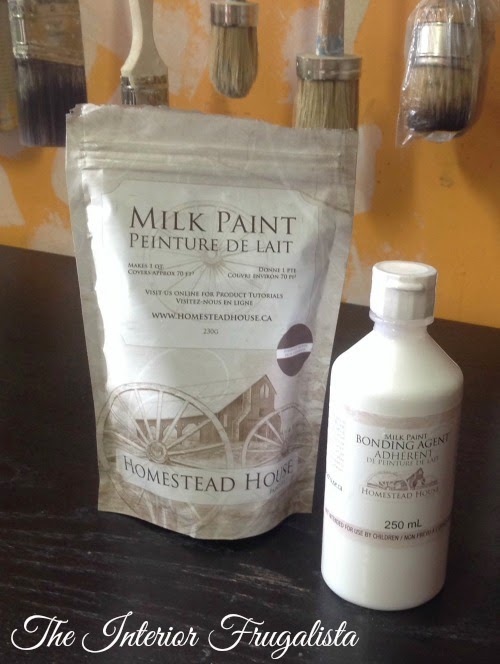 I remembered Homestead House carried a milk paint stain and so I ordered a bag in the color Sherwood Brown. I prepared the milk stain according to the package directions and added some bonding agent to help the stain adhere to the old paint. 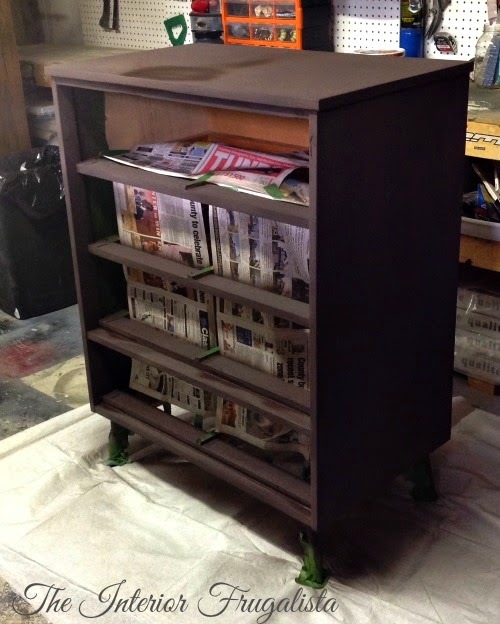 Yes, you can use milk paint with a paint sprayer but it must be strained first to avoid lumps plugging up the machine. It worked like a charm and took me a third of the time it normally does using a brush. The finish is smooth as a baby's bottom. 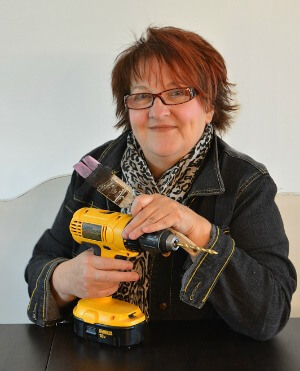 I got excellent coverage after only two coats, however, I wasn't 100% happy with the color as it had purple undertones and I wanted more of a dark walnut color. I had also ordered the milk stain in the color Provincial Walnut and decided to give that a whirl and that's when panic ensued. Too light, now what? Before the milk stain had a chance to dry I took a slightly damp brush and moved the stain in up and down motions to reveal some of the Sherwood Brown underneath. This turned out to be a blessing in disguise because it started to take on the look of wood grain. Insert happy dance but still not the color I was hoping for. I started thinking because it had multiple layers of milk stain perhaps it would be porous enough for Minwax stain to absorb it. Using a foam brush I tried a coat of Dark Walnut and it worked. You'd be hard pressed to tell that wasn't natural stained wood. Now onto the drawers. 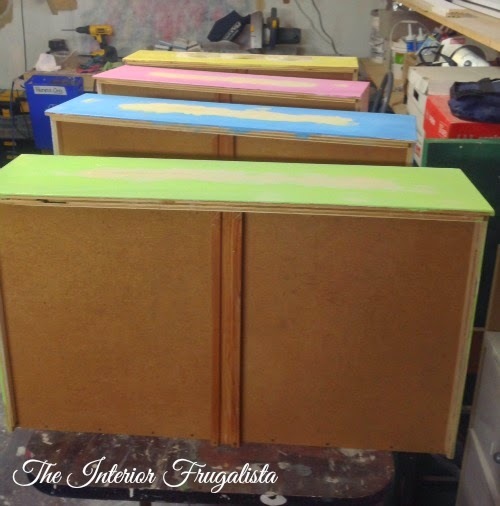 Mr. Frugalista removed the wood pulls but I told him to hold tight on the trio of diamond blocks on the top drawer. 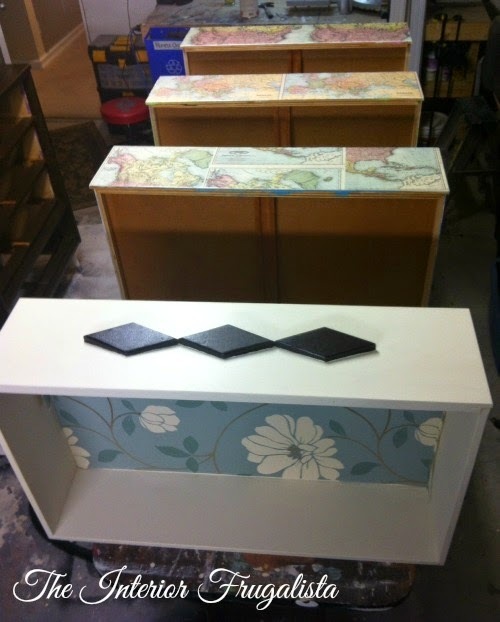 I painted all four drawers with Annie Sloan Chalk Paint in the color Old White. Using a mouse sander I removed the paint on the diamonds and stained them dark walnut to match the dresser. After spending time on Pinterest my future daughter-in-law (finger's crossed) decided she wanted a cartography theme. 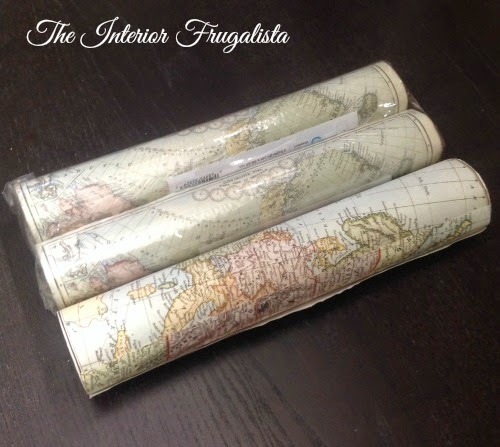 I found these awesome rolls of map decoupage paper at Michaels. 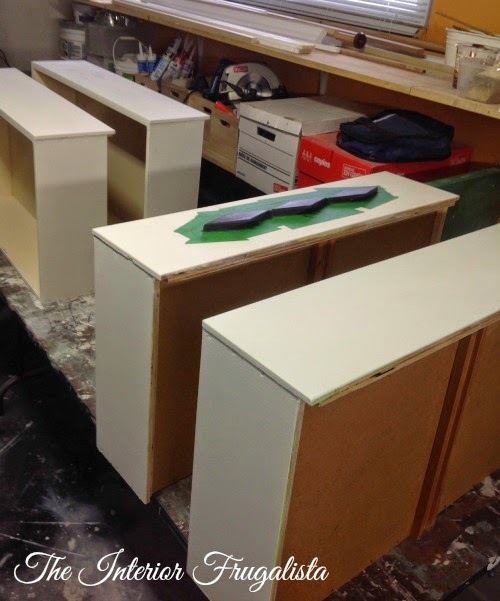 Using thinned Mod Podge I attached the maps to the bottom three drawer fronts. I had a roll of vinyl wallpaper leftover from another project and used it to line the inside of each drawer. 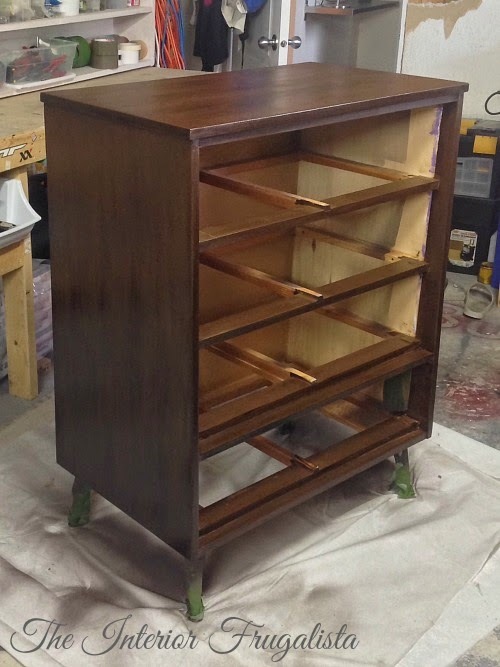 Once again using that awesome Finish Max Pro Sprayer, I protected the entire dresser with two coats of matte water based Tough Coat by Country Chic Paint. I was so impressed with how streak free and smooth the finish went on that I will never apply it with a brush again. To age the maps I applied a coat of dark wax and wiped off the excess. 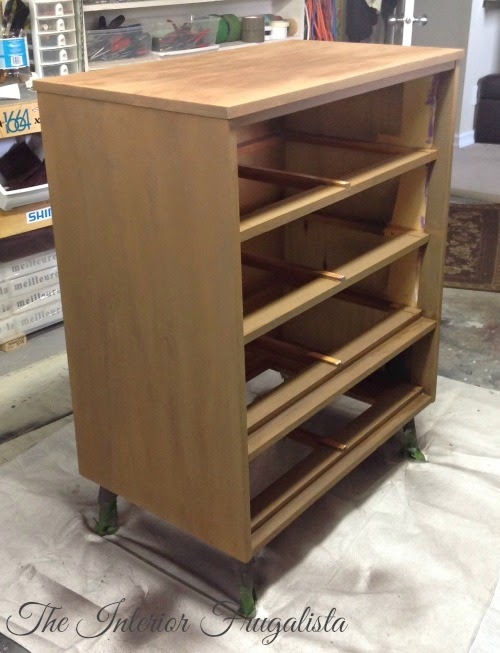 But then the top drawer was looking too stark so I applied dark wax on it too. 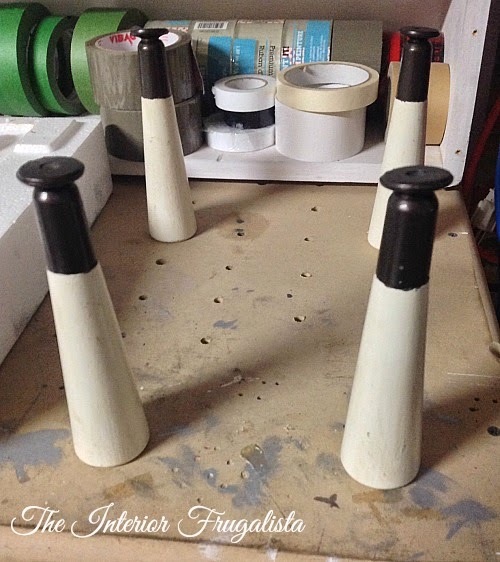 I painted the legs in Old White chalk paint as well as dark wax. I then brushed two coats of Blackened Bronze Metallic Surfacer to the metal feet. The original plan was to accessorize the dresser with chrome feet and pulls but when I held them up to the dresser the chrome finish was not working. 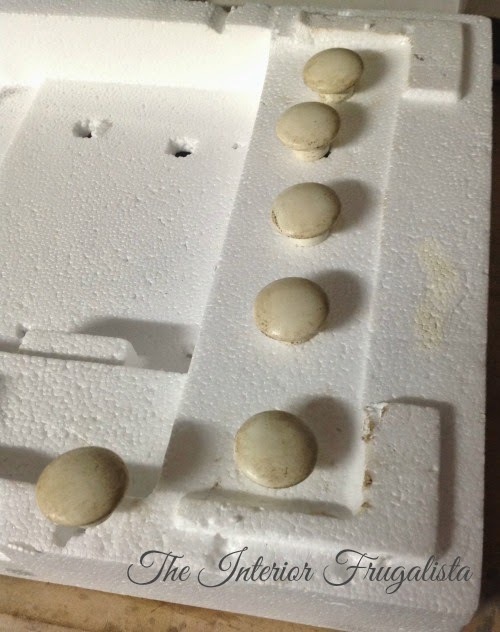 I ended up using simple wood knobs purchased at Home Depot and chalk painted them in Old White followed by some aging with dark wax. Much better. 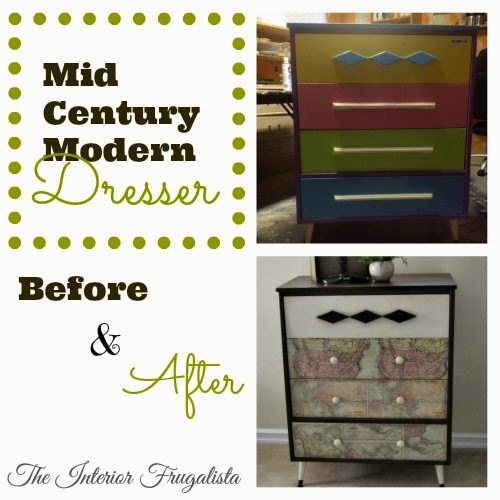 I'm so pleased with how this dresser turned out and thankfully so was she - a night and day transformation. 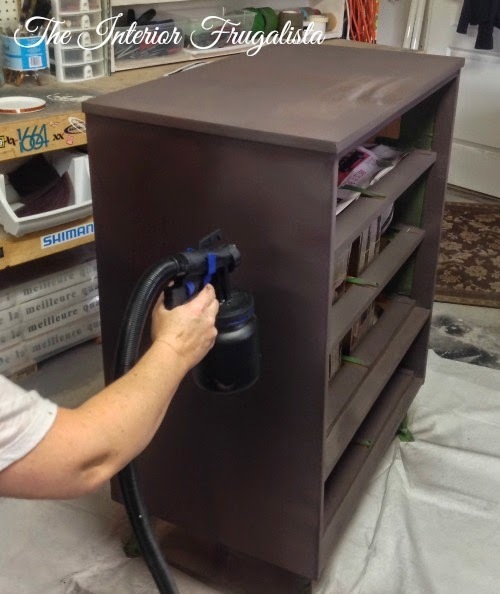 If you found this tutorial on how to give a piece of furniture a stained wood patina using paint, please share it with a friend and/or save it on Pinterest.